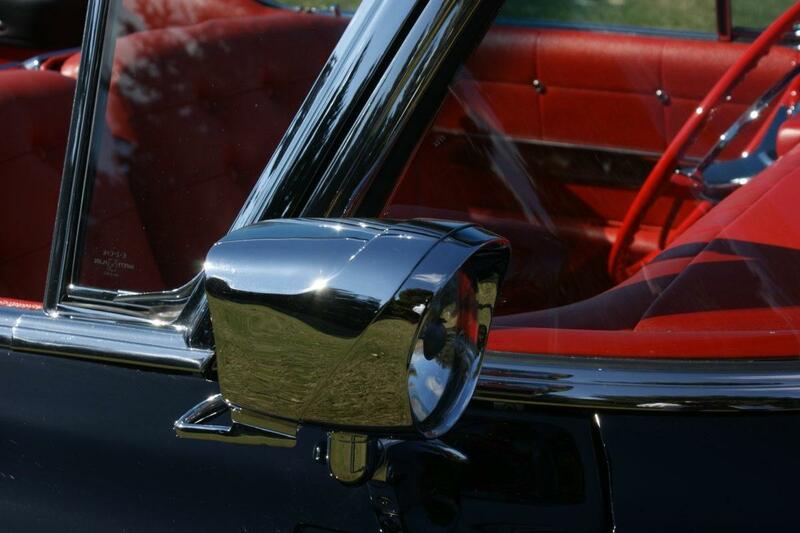 Finished in “Sable” black with contrasting red “Cape Buffalo” leather interior and flawless chrome, the exquisite example displayed in Ken’s collection represents the pinnacle of luxury and styling excess of the 50’s era automobile. 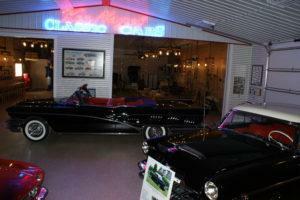 Only 839 Limited Convertibles were ever produced. Today less than two-dozen of them are known to exist. 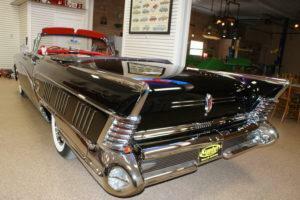 To find this special drop top, Ken wrote letters to 25 different members of a national Buick club. He asked if anyone had one and was willing to sell. Only one owner responded to say he was ready and willing to part with his Limited convertible. 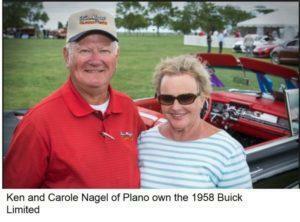 “He owned it for 21 years,” Nagel said. “He wanted to restore it but never did.” As part of the deal, the seller included $10,000 worth of hard to find, new old stock parts he had been collecting. 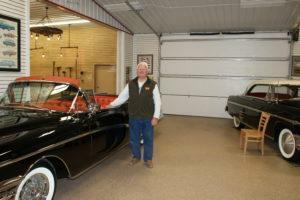 Ken Immediately commissioned Bob Kuehn Auto Body in Stanton, NE to undertake the restoration. 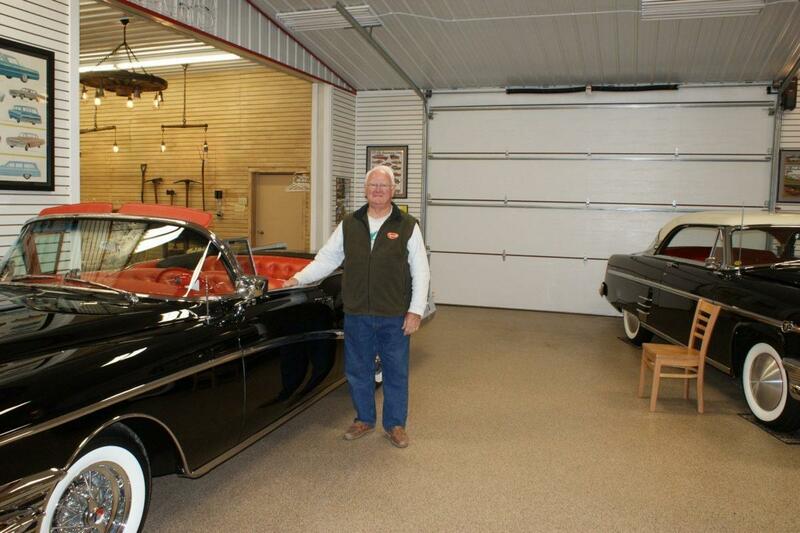 Known for his painstaking attention to even the most minute detail, taking care to disassemble every nut, bolt and screw and recondition or replace with NOS parts, Bob and his master craftsmen took three years to complete the stunning restoration. This masterpiece of automotive history and art has gone on to win awards from some of the most prestigious Concours d’Elegance events in the country. Perhaps no other industry is more reflective of the times than the automotive industry. And in the 50’s, perhaps no other car was more reflective of the industry than the 1958 Buick 700 Series Limited Convertible. Millions of ex service personnel returning to civilian life after WW II spawned a fast growth economy that responded by producing record numbers of houses and automobiles. The celebration after WW II was described by some as the era of “wretched excess” and it was coming to an end. The “fabulous fifties” were giving way to the “sensible sixties”. Buick sales were suffering due to the economy and internal quality control issues. 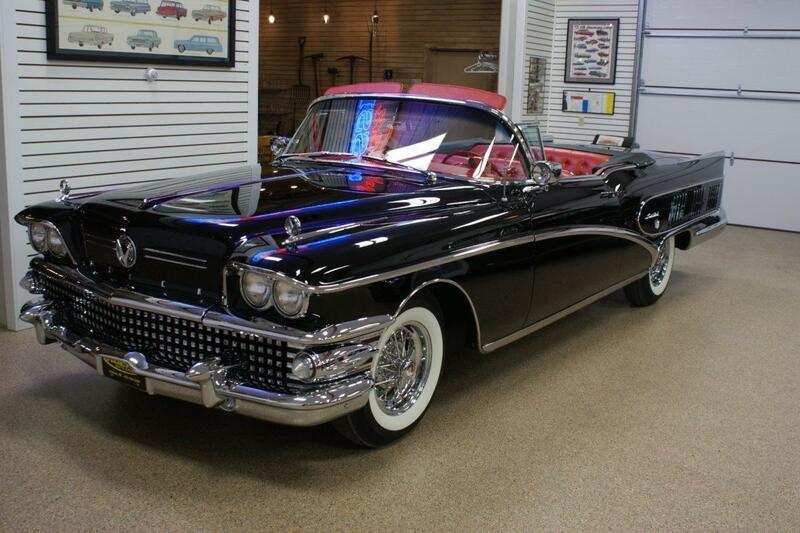 Buick was in dire need of rejuvenation and The Limited was to be car that would rebuild the image and bring back the sales. 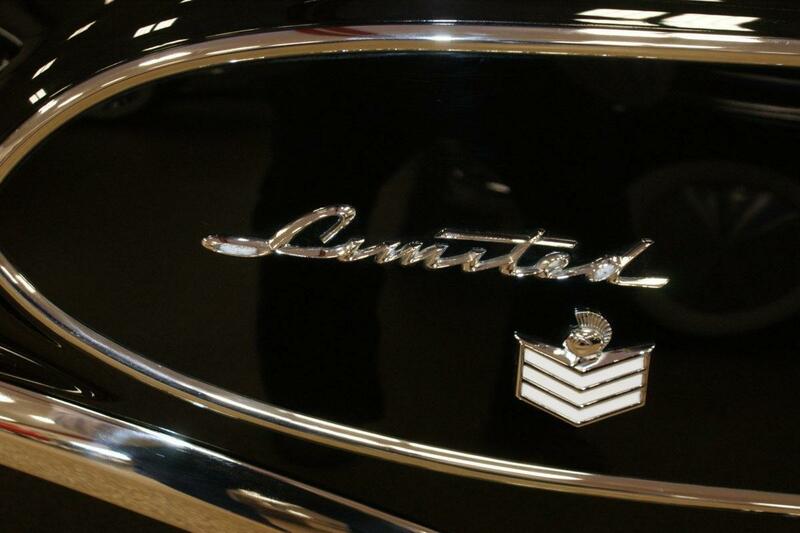 Limited was revived in 1958 by GM President, Harlo Curtice after it was dropped in 1942. Curtice, the former design chief at Buick had his efforts to establish the Limited model as a competitor to Cadillac torpedoed and now was the time to bring it back. The re-launch of the Limited model also marked the end of an era at Buick. 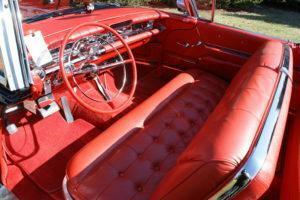 Harley Earl, GM’s styling director for more than 30 years, retired that year. So did corporate president Harlow “Red” Curtice, followed shortly thereafter by Buick chief Ed Ragsdale. A new team, with a new outlook, would be responsible for guiding General Motors’ oldest division successfully into the Sixties. 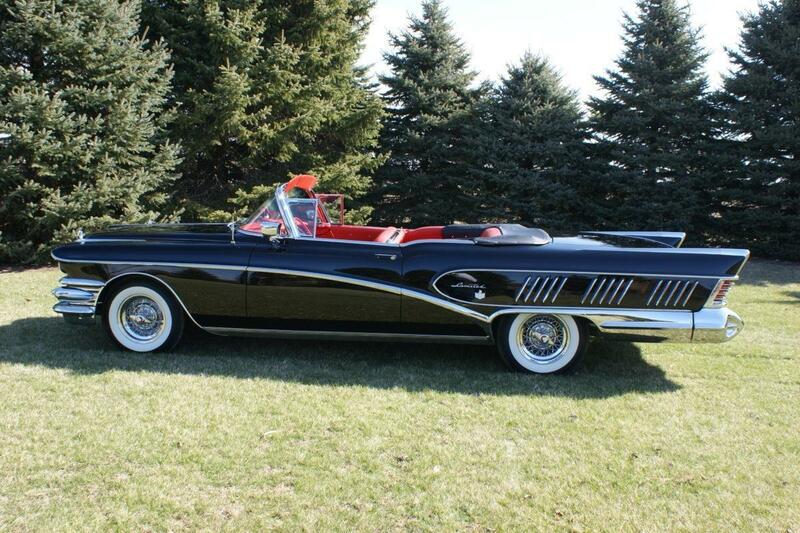 Buick knew that radical changes would have to be made if the 1958 models were to have any chance of achieving widespread acceptance. 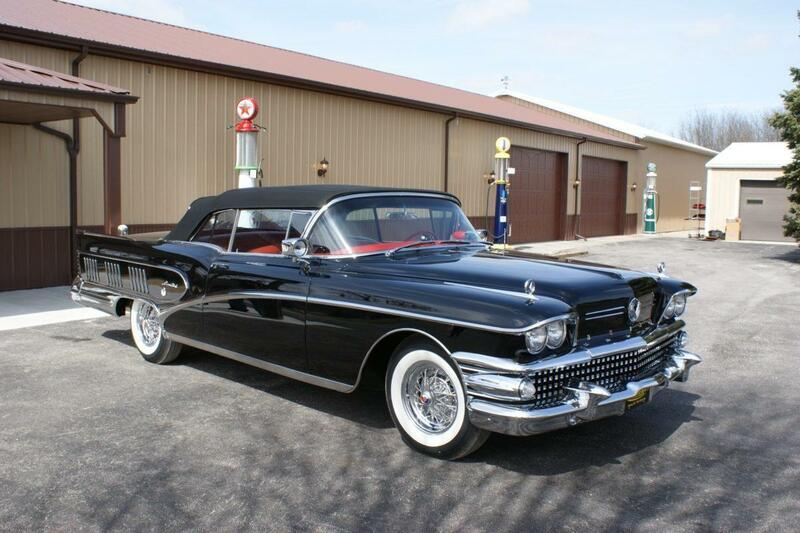 Because it was much too late to bring about a major modification of the basic body contours, the 1958 Buick Limited restyling efforts had to revolve around superficial changes in trim. 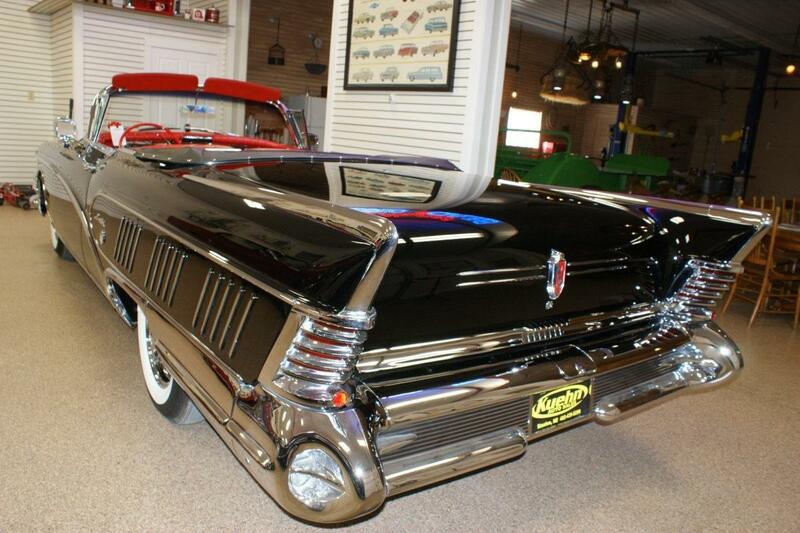 As reintroduced for 1958, the Limited was basically an upgraded Roadmaster, but with an extended rear deck decorated by chromed chevrons on the fenders. 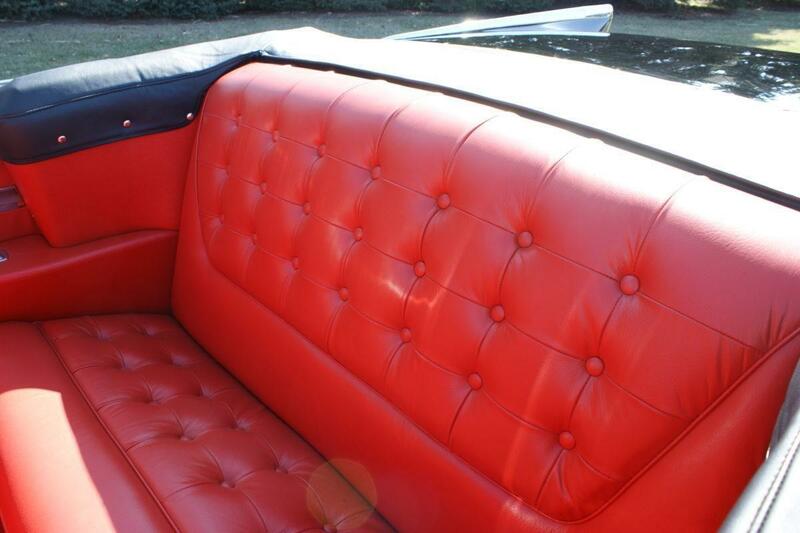 Convertibles sported fine imported “Cape Buffalo” leather in a wide variety of colors. Cosmetically outrageous styling was evident in every aspect of the Limited’s appearance. The rear window was an unbroken expanse of glass. “Mouseholes,” officially known as “ventiports,” disappeared. A new “Fashion-Aire Dynastar” grille dominated the front end. It consisted of 160 chrome-plated squares, each designed with four triangular concave surfaces calculated to reflect a maximum amount of light. They had quad headlamps with broad chrome rear quarter side panels, a unique Limited “Twin-Tower” wraparound tail lamp lenses enclosed in chrome housings and rear bumper ‘Dagmars’ housing ‘Dual Jet’ back-up lamps. Brightwork was liberally applied. 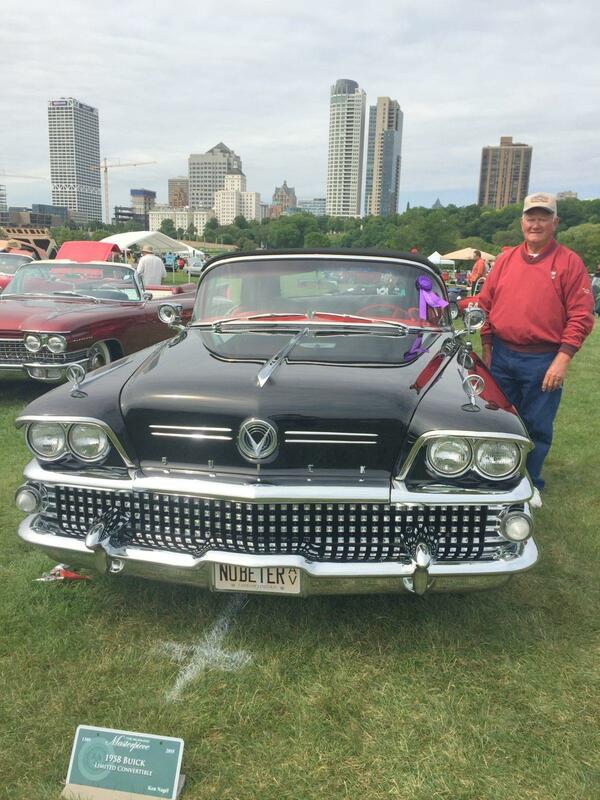 For the first time, a Buick looked more like a “Wurlitzer on wheels” than a car. 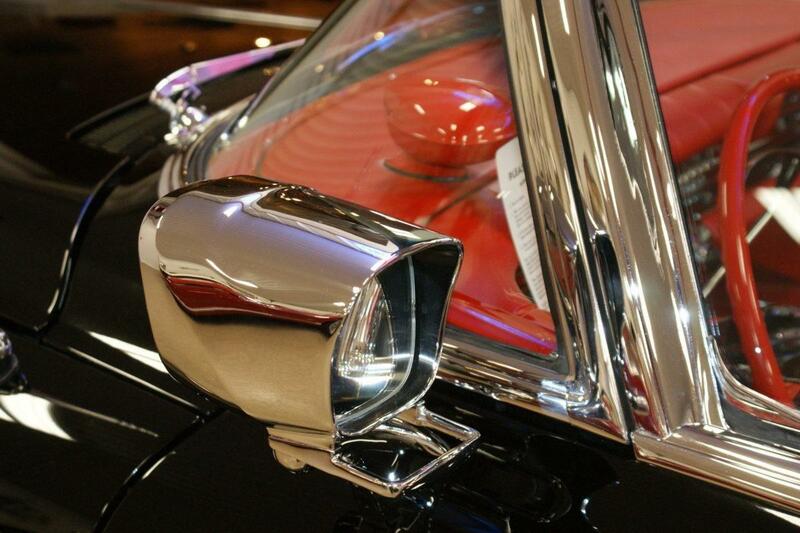 One admirer referred to it as “The Rhinestone Cowboy.” “The Chrome Goddess” had more Chrome and Stainless than any other car ever produced! 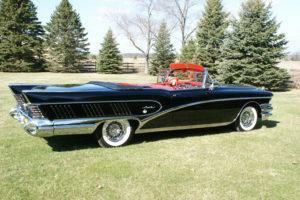 Perhaps the 1958 Buick overdid it, but this was after all the era of high-flying tail fins and three-tone color schemes. 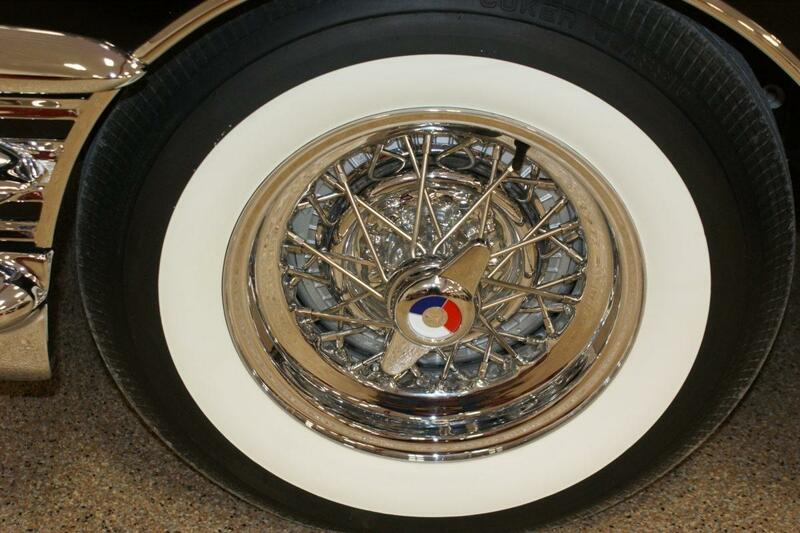 The wheelbase measured the same 125.5 inches as the Roadmaster, but the rear overhang stretched out an extra eight inches, bringing the overall length to just under 19 feet! 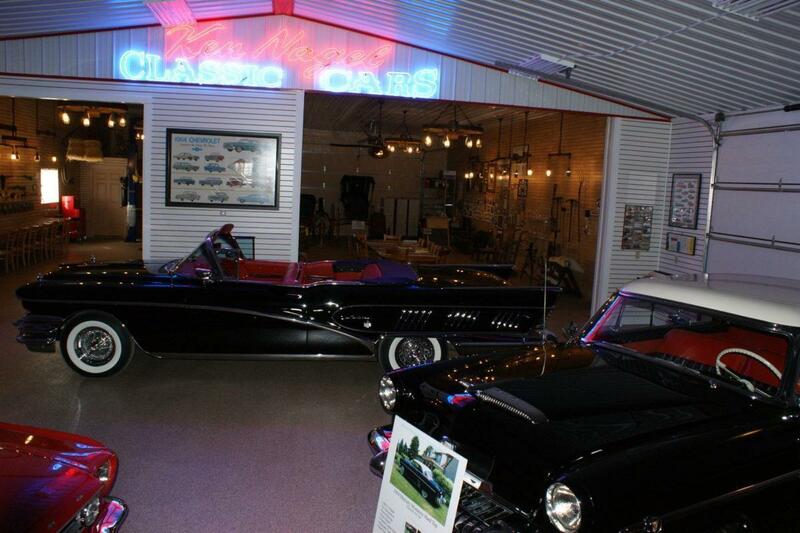 With prices over $5,000, they were more expensive than most Cadillac models. Power was from a 364 cubic-inch V8 engine using a 10.1:1 compression ratio and four-barrel carburetor delivering 300 horsepower, exactly the same as Ford’s new four-place Thunderbird! Along with all the luxury, glamour and glitter came some problems. 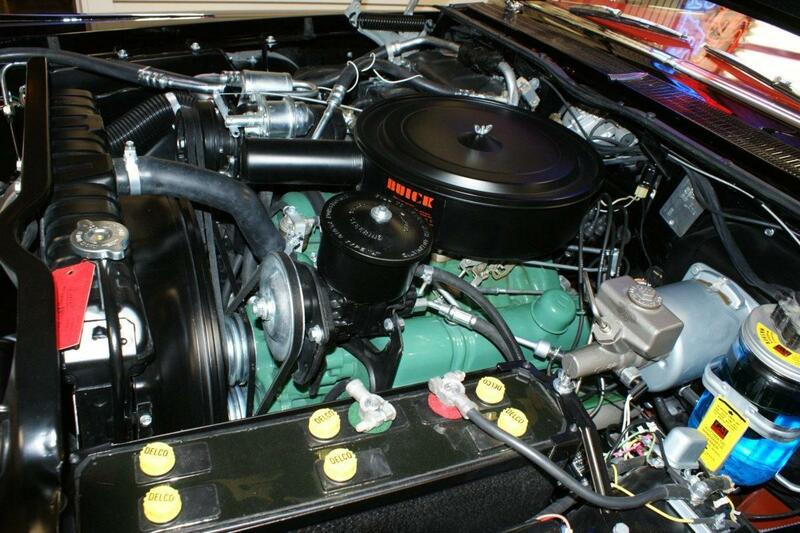 A revised automatic transmission debuted for 1958: Flight-Pitch Dynaflow. (Known in later years as the “triple turbine” transmission.) An enormously complicated mechanism, it proved to be very expensive to produce. Buick is said to have spent $86 million just on tooling for it. With a maximum stall ratio of 4.5:1, the Flight Pitch relied entirely on hydraulic multiplication throughout the car’s speed range, resulting in almost incredible smoothness. On the downside, however, it lacked the quick response of Hydra-Matic, and slippage was such that it proved to be wasteful of fuel. If the Flight Pitch transmission proved to be less than an unqualified success, Buick’s other engineering tour de force for 1958 rated as a total disaster. This was the optional Air Poise suspension, actually a Cadillac development, which all General Motors divisions offered that year. 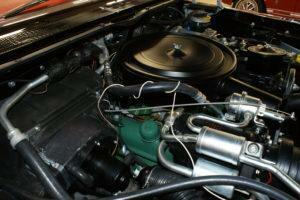 The system consisted of individual air bellows, replacing the conventional coil springs at all four corners. Air was fed to the bellows from a supply tank that maintained sufficient pressure by means of a small engine-driven compressor. In theory, Air Poise was supposed to provide a softer and quieter ride than the coil springs, though the claim is questionable. It did, however, keep the car at a constant level stance regardless of load and operating conditions. At least, that’s what it did when it worked properly. 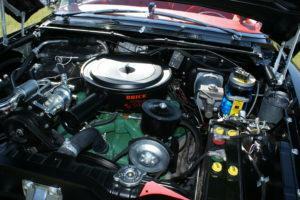 Owners soon discovered, however, that Air Poise often developed leaks that sometimes left the car sitting on its axles. Motor Trend complained about excessive wheel-hop, bottoming out on sharp dips and too much heeling-over in turns. At $188, Air Poise never became a particularly popular option, which is just as well, since many buyers found it necessary to convert their cars to coil springs later. Note: Ken’s car was originally fitted with the Air Poise system. He has since converted to the conventional suspension but has retained and stored the original Air Poise components. Test-driving a 1958 Buick Super equipped with the Flight-Pitch transmission, Don Francisco of Motor Trend magazine experienced “extreme slippage somewhere between the engine and the rear wheels. Engine speed went up with the throttle movement, but the car didn’t accelerate as it should have. “To get the car moving fast enough to keep up with normal traffic it was necessary to push the throttle to the floor, where the converter ratio changed to a still lower pitch.” Gas mileage averaged 11.3 mpg highway, 8.5 city. Altogether, Francisco found the car to be “a disappointing experience.” In summarizing, he wrote, “These cars are for mink and dinner jackets, not slacks and Levis; they are for driving to dinner and the theatre, not for beating across town during rush hours.” And that is, no doubt, exactly the way Buick intended things to be. The image the company sought to project was one of comfort and luxury, not of all out performance. Unfortunately, Francisco’s prediction was right on the money. 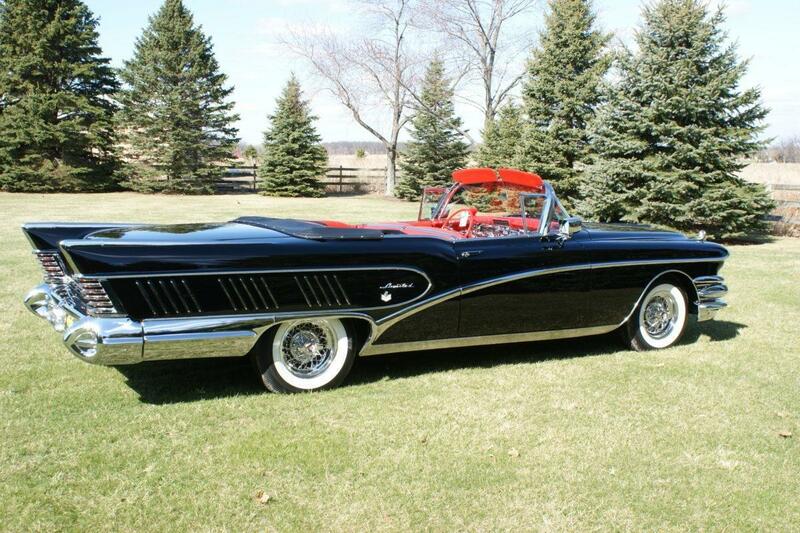 Buicks sold poorly in 1958, resulting in a fifth place finish in the model year production race, one notch lower than the year before. 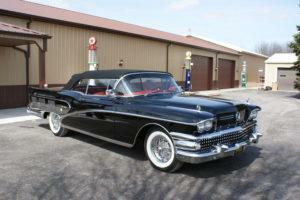 Given all the factors – the state of the economy, the Limited’s very high price, Buick’s tarnished reputation, and the styling excesses of the 1958 models – it hardly comes as a surprise that the Limited lasted for only one season. The Limited may not have saved Buick’s tarnished image in 1958 but it was certainly regarded as the high water mark of flamboyant luxury of its time. Displacement 364.0 cu in. | 6.0 L.
The 1958 Buick Series 700 Limited is powered by a normally carburetor V8 engine that displaces 364 cu in. It produces 300.00 HP at 4600.00 RPM.